When it comes to the support experience, customers seek familiar, informal, and, most important, immediate forms of contact. That’s why, for brands seeking to interact directly with consumers, real-time communication is a no-brainer. These days, companies that place a strong emphasis on real-time customer engagement are taking interactions a step further by using automation within the web and mobile landscape. Chatbots are one way companies are automating customer service interactions and when brands incorporate chatbots into real-time communication like live chat, they’re often aiming for scale, as well as improved first response time and agent efficiency. Many web and mobile landscapes come equipped with integrations that support bots. According to Van Baker, research vice president at Gartner, “By 2020, over 50% of medium to large enterprises will have deployed product chatbots.” That said, these powerful engagement tools can fall short when it comes to personalized, human interactions. The task that remains for brands? Creating an experience that is deep, emotional, and human in the midst of emerging technologies. In other words, companies need to know when to let chatbots do what they do best so that humans can in turn do what they do best. What are chatbots? They include both scripted and self-learning AI tools programmed to converse with customers in a way that mimics an online conversation with an actual person. Chatbots can tell jokes, process payments, and give you taco recommendations. To effectively communicate with customers via bots, brands need to understand chatbot abilities and limitations and make the most of both chatbot and human support. Businesses need to consider how to smoothly transition from bot support to human support, or bot-to-human handover best practices. You guessed it: FAQ bots answer user queries with pre-programmed answers. They’re one of the simplest bots a brand can build, with answers ripped right from the pages of their own website. But why stop there? eBay took its ShopBot one step beyond a standard FAQ by offering answers not just about the service but also about the inventory. ShopBot directs shoppers to products based on item, brand name, and price, and providing multiple choice answers with its questions. You want a bag? ShopBot will ask you what material you’re considering—nylon, microfiber, leather, polyester? Based on what shoppers choose, ShopBot suggests a trending product. “If a typical person can do a mental task with less than one second of thought, we can probably automate it using AI either now or in the near future,” Andrew Ng, chief scientist at Baidu, wrote in Harvard Business Review. Case in point: KLM Royal Dutch Airlines’ chatbot, which issued 50,000 boarding passes to customers within its first three weeks of operation, according to Forrester. The bot also updates customers on flight changes, sends check-in notifications and confirms bookings. Similarly, travelers can reserve flights through China Southern Airlines’ WeChat chatbot. These bots succeeded because their creators understood where chatbots perform best—menial tasks that require simple logic. While it might feel like eons until you get a flight attendant’s attention, it takes just a moment for them to confirm your seat and hand you a boarding pass—a task a bot can easily perform. Starbucks’ seasonal superstar, Pumpkin Spice Latte, got its own Twitter account some time ago, to plenty of fanfare. A Pumpkin Spice bot was the next logical step during the bot boom of August 2016. Fans of the hot beverage were able to converse with Pumpkin Spice just for kicks, and while its responses didn’t always directly answer users’ questions, the bot certainly charmed with its wackiness. Users here indulge in the novelty of chatting with a bot, pushing its boundaries and interacting with an oddly animated inanimate object. Somewhere in between practical and playful, there are bots that build consumer credit with a brand. These bots teach a lesson relevant to the brand, fostering a relationship between users and products without pushing the sale…yet. Unilever’s Signal Pepsodent toothpaste uses Facebook Messenger to teach kids healthy brushing habits. Every day, the bot sends out animated episodes of a series called “Big Brush, Little Brush,” at a time that users can set in advance. A chatbot function like this aims to bring families together over branded content, so when they head to the supermarket, Signal Pepsodent will be top of mind. Other chatbots act as experts in a brand’s field. Similar to an FAQ chatbot, these specialists have a deeper well of information about a subject relevant to that brand. 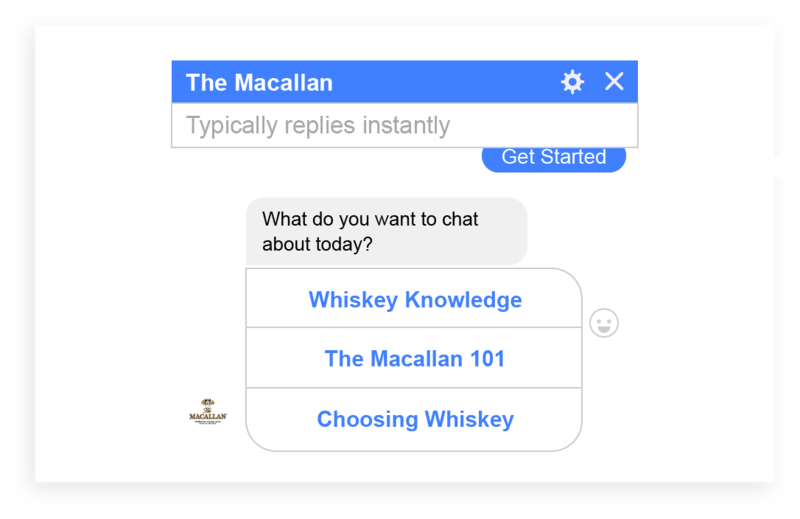 Whiskey maker Macallan, for example, answers questions over Facebook Messenger using a multiple choice format. Alternatively, customers can ask the bot for advice on choosing the “right” whiskey. 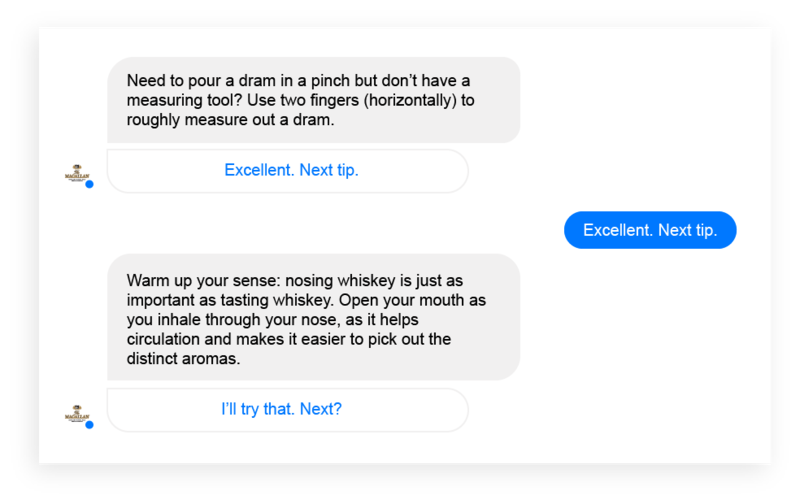 It’s not particularly responsive to natural language, but it’s a well of information about whiskey, even if it offers only a handful of stock responses per query. Meanwhile, in a galaxy a lot closer to home, our fledgling bots “are most useful for solving the repetitive interactions that humans don’t need to spend time on—which allows humans to focus on the high priority case drivers where they’re needed most,” said Ada Support’s Myers. Chatbots can do a lot, it’s true, but their capabilities are eclipsed by their shortcomings in creating a wholesome, human support experience. “We've learned where chatbot limitations are and how important having that human element is. The power of chatbots in customer service stems from human smarts and machine intelligence working together, said DigitalGenius’s Mikhail Naumov. “Trusting just a bot or just a human to do it is no longer the best way.” The “best way” is to combine the two and let the machine do what the machine does best, paving the way for humans to do the same. In the personalized support experience, humans are not optional—in fact, they are crucial. Chatbots weren’t built to take over customer support. Rather, they were built to serve as intermediaries, meant to keep customer support accessible after business hours and to free up human agents to handle tricky requests. Unfortunately, some companies, like email schedulers Clara and X.ai and concierge service GoButler, have been so eager to achieve the appearance of an automated system, they end up further burdening their human employees. In early 2016, for example, concierge bot GoButler was marketed as an AI service that could work for you 24/7 by booking flights, ordering meals, and, in one case, procuring an antique human skull. Unfortunately, the “bot” was just a poor rep on the other end of a computer screen performing menial tasks. At the company’s holiday party, employees even partied in shifts to ensure GoButler was up and running for user requests at all times. Sephora has been more successful. Its Facebook Messenger chatbot, Sephora Virtual Assistant, eliminates the wait for in-store makeup artists by allowing users to upload selfies and virtually test different lipstick colors. The bot performs a specific task that it has been programmed for (as opposed to promising everything from dinner reservations to human skulls), and it even offers beauty tutorials by animating the user’s face as it walks through each step. As of October 2016, Sephora Virtual Artist had been used over four million times across 90 million lip shades. The fundamentals of a bot-to-human handover may vary between Simple Logic Tree (SLT) and Natural Language Processing (NLP) chatbots. NLP bots, which have machine-learning capabilities, will try to assess whether they can handle each request. These bots can call for backup, signaling for human monitors to take over if they’ve ventured into unprogrammed territory. If the bot’s confidence in its answer is at least middling, the person signaled will check its response. Once it’s checked and approved by a human, the bot can continue interacting with its customer. It’s easier for human agents to step in during working hours, though the process can get manual. From 9 to 5, people can monitor several chatbot conversations simultaneously, taking over when chatbots get stumped. That’s the sort of GoButler model most companies would do best to avoid, though it does let reps drift in and out of conversations as needed and handle multiple conversations simultaneously. The escape-hatch function is far more efficient. By triggering it—“Can I talk to a representative?”—a human agent can step in at the right time and then review the archived bot conversation, quickly gleaning the gist of the user’s queries. Chatbots can even tell humans what to say at the handoff via a preset response. For instance, a reservation bot might ping its human counterpart with the suggestion to ask a user: “Which restaurant would you like me to reserve a table for this evening?” This saves the rep the time it would take to review the entire bot transcript. Of course, the human employee can edit this response to make it feel more personable. Or, if they don’t trust the bot’s suggested reply, they can look over the transcript just in case the customer was trying to discuss something else. When human employees aren’t waiting with baited breath behind every chatting chatbot, bots need to make that clear. They can do this using autoresponders, the same emails professionals send (“OOO in Bali for the week--email Karen with any urgent questions (sorry Karen)!!”). Like Karen’s lucky colleague, chatbots can include a company or specific employee email where customers can direct their questions. Autoresponders are also appropriate for use when customer-service pros are ready and waiting. Take SnapTravel, which helps customers book hotels. Through a series of queries, the brand’s chatbot can narrow down users’ travel preferences into a short list of hotels and dates along with a “back in a minute” message (see image below), after which human travel agents step in. For added charm, the Radisson Blu Edwardian Hotel’s chatbot, Edward, has autoresponders ready for all customer messages that aren’t needs or complaints. Edward has a stock response to humorous messages, one for compliments and a selection of scripted responses for FAQs. Users know that they can engage with the whiskey bot on these topics—and probably nothing else, at least not substantially. Companies need to make sure their chatbot autoresponders reflect the reality of their customer-service abilities. If no one is currently available to assist, let the customer know, and furthermore, let them know when a human agent will be available. If that wait is long, at least provide the customer with a support email address. Chatbot conversations should never slide sneakily into human hands. Though it might seem smoother not to acknowledge the transfer, transparency is key. When humans take over chatbot conversations, they should reveal themselves right away. Chatbots can make these transitions less choppy by introducing reps before they introduce themselves. For instance, when a chatbot isn’t able to process a customer’s request, instead of a stock response that says, “I’m sorry, I don’t understand,” the bot can respond, “I’m sorry, I don’t understand. Let me get a human representative to help you.” Add some on-brand bot humor and the handoff is complete. Users engage with chatbots in real-time, and the transition from bot to human should be as smooth as possible with minimal breaks. To ensure a smooth transition, your live chat team should be trained in all aspects of the chatbot (what it can and can’t do) and, most importantly, they should know the goals of the chatbot. That way, when a customer gets handed over from a chatbot, the chat agent knows exactly what frame of mind the customer is in and how to best assist them in a more human, personal way. 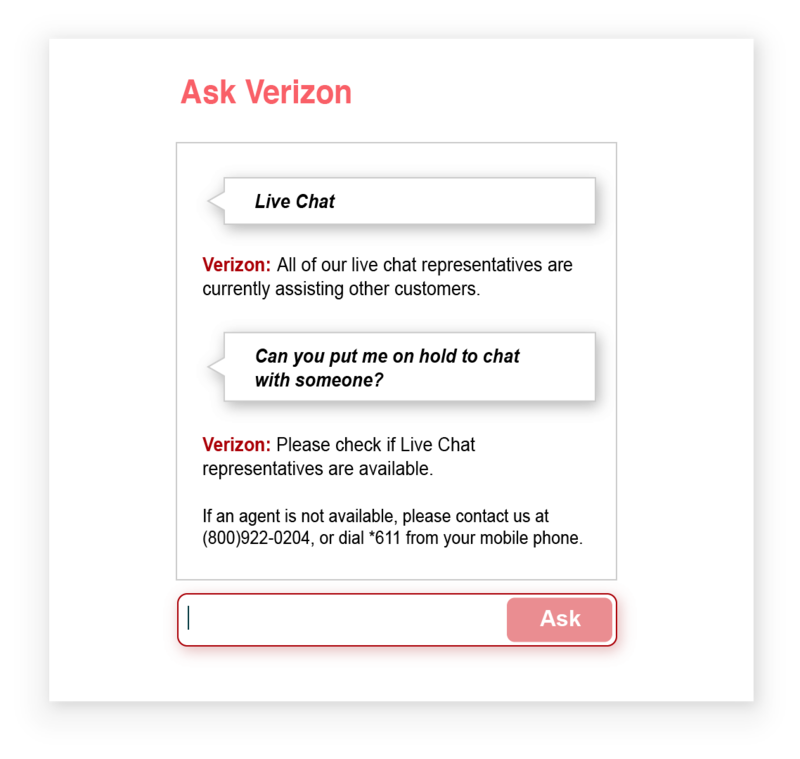 For example, if the chatbot’s purpose is to guide users to make a purchase or to answer specific types of support questions (e.g. billing matters), your chat team needs to be well versed in that subject. A well-versed agent can pick up the conversation from where the chatbot left it, and assist the customer in an emotionally intelligent and personalized way. With so many emerging technologies, it’s easy to wonder where humans will fit in the not so distant future. Though we have yet to approach a Westworld scenario in which chatbots gain sentience and walk among us in human garb, chatbots are making strides in both abilities and adoption. Bots are a great tool to help automate replies, fulfill simple, mundane tasks and reach more customers. The good thing is, customers still prefer experiences where their individual emotions can be understood. Which means humans. As companies enter the live chat landscape of tomorrow, businesses should focus on blending the customer experience with bots and human agents to increase efficiency and add that human touch. Remember what your chatbot can and cannot do and set boundaries. Let it do what it does well, and leave the rest to human support. Draw a line in the sand, with bot capabilities firmly on one side and human responsibilities on the other, and allow users to easily cross over when they need to. If you need to build a chatbot for Zendesk Chat, you can find help from our chatbot partners: Ada, Aivo. Don't have a chatbot yet?